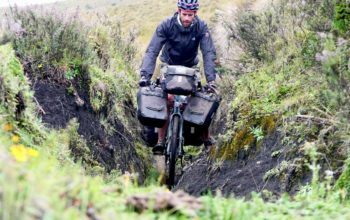 People go to great lengths in order to reduce the weight of their bikes and gear, but is it justified? 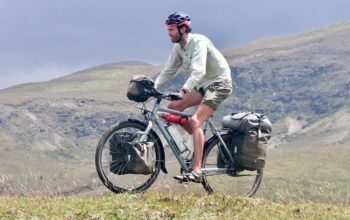 It is my experience that bicycle travellers tend to split into two different camps: there are people who are perfectly happy carrying everything they need to be comfortable/independent on the road (your typical bicycle tourer), and there are people who cut every corner they can, spending top dollar to shave a few kilos off their total setup (bikepackers, ultralight tourers). Given these polarising views, that makes weight a central focus for any discussion with bikes, parts and gear. I see it at bike meets and on forums all the time – I get sucked into it myself. It isn’t always just about hauling the extra weight around, I get it. 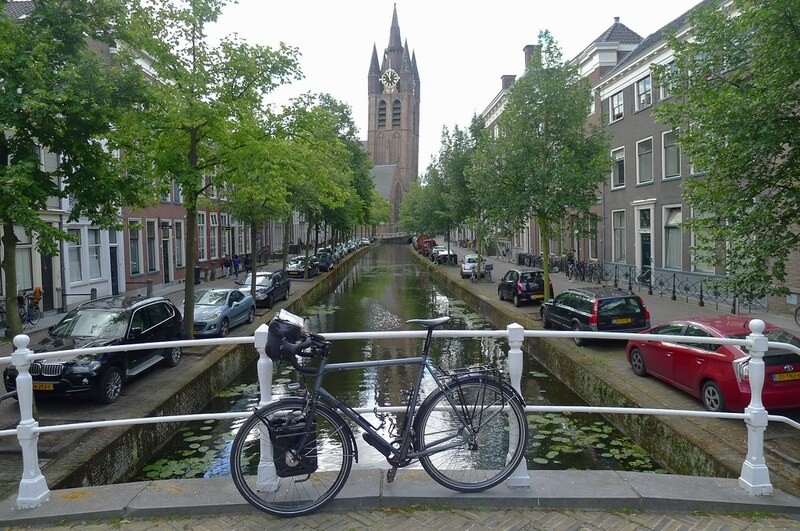 People reduce their overall packing weight in the pursuit of minimalism, to improve bike handling, in order to use a bike that isn’t designed for touring (a road bike for example), to make flying cheaper, to make carrying your bags up stairs (and into hotels, onto trains) easier, and to reduce the stresses on your wheels and frame. But despite this, I believe that the emphasis on weight has gone way too far. When you spend that $200 to shave 1000g off your setup it seems like you’re saving a lot, right? But consider this: 1000g makes up less than 1.0% of your total weight (75kg rider, 25-60kg bike+gear+food+water). Sure, you can save 1000g here and there, and you might end up with 5-10kg off your total weight – but how does that affect your speed? Let’s find out! Here’s what I want to know: the time difference between 5kg, 6kg, 15kg, 25kg and 35kg of additional weight on a typical day of touring. Once I have an idea about the time-savings involved with the reduced weight, I can try to justify whether the additional costs and sacrifices to my comfort are worth it. In this resource, I will be using maths to calculate time differences. For the next part of this resource series, I will conduct my own experiment on a hilly cycling route to see if the maths adds up. How Does The Maths Work? 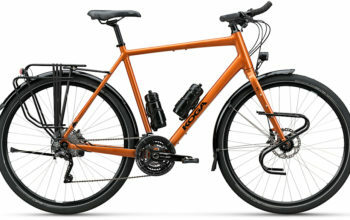 I am using BikeCalculator.com to find out the speed differences between my different bike setups, all else being equal. You can easily do this yourself by heading over to the website and inputting your numbers. If you are carrying less, your bike can undoubtedly weigh less. 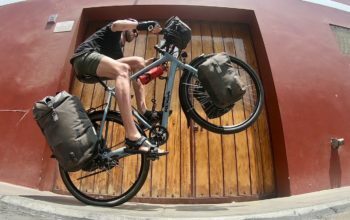 Bikepacking bags also reduce the frontal area of a bike compared to a pannier, resulting in wind resistance savings too. 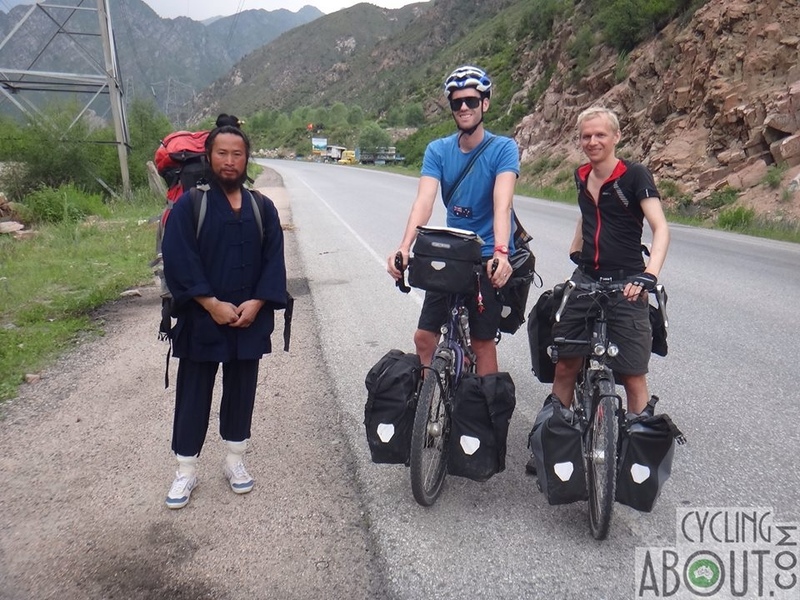 Differences to speed using a performance-oriented bike and bag configuration will be more significant than weight alone, but for this exercise I will be keeping it consistent by specifying a touring bike with two panniers. 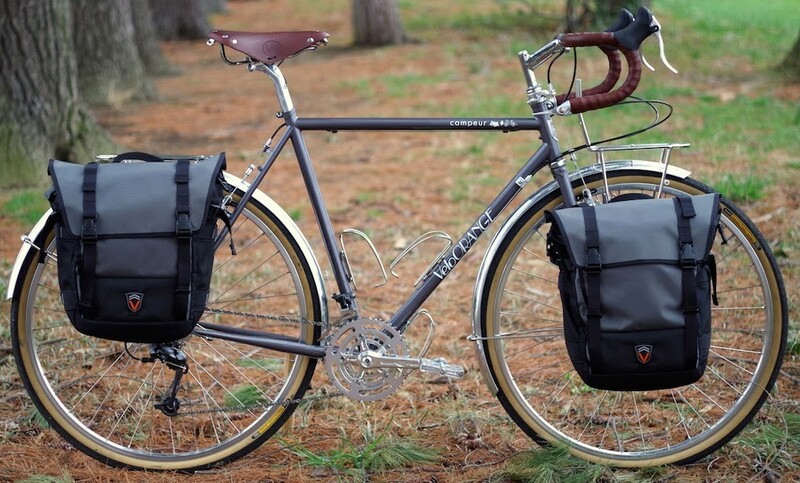 When you carry less gear, you can use lighter bikes with more aerodynamic bag setups. I realise that the maths here is hugely simplistic, but consider it an exercise to put weight into perspective. My take: Carrying extra weight on a flat ride has a minimal effect on time assuming you don’t have to stop and start regularly. One kilogram adds just seconds to the ride, and even if you’re carrying 30kg extra, it’s just 5 minutes extra to your day. My take: The effects are getting greater when you add a bit of elevation to the mix. That $200 that you spent to save 1kg off your gear is now saving you 30 seconds of ride time, which is still insignificant. For every 10kg that you add, that amounts to extra 6 minutes on your ride. 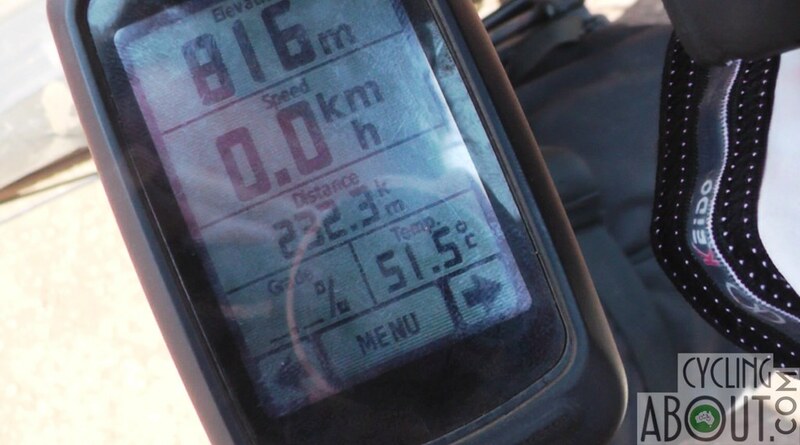 Even with enough gear capable of all-seasons and a round-the-world trip – the time penalty is only 19 minutes over a four hour ride (I really thought it would be more). 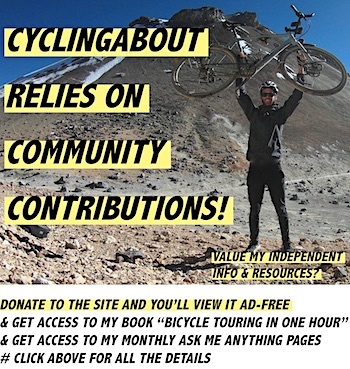 My take: 2000m climbing on a 100km ride is a big day in the saddle, and is something I very rarely do. But it will happen in the more mountainous parts of the world. That $200 that you spent to save 1000g off your gear is now giving you 1.5 minutes extra rest at the end of the day. As your load goes up, you’re adding about 15 minutes per 10kg of extra gear. Again, that’s not as significant as I would’ve thought. What If You Weigh Less or Put Out Less Power? The weight of your bike and gear is MORE important the less you weigh, or the less power you can sustain. When you weigh less, the bike and gear numbers become a bigger proportion to your total weight. So Is Weight As Significant As We Think? A little bit of extra weight isn’t that significant in terms of time. For me, carrying 10kg extra (adding between 1 and 15 minutes to my day over 100km) so that I can have a nice cooking setup, a solid tent, a few spares, a laptop and some nice camera gear is completely justified, as long as I know I’ll be regularly using them. Heck, you’d be crazy not to bring something that makes you comfortable (a full-sized camping mat, a pillow, a coffee maker) if it only weighs a few hundred grams and adds just a minute to your daily ride. The flatter your tour route, the less weight matters. 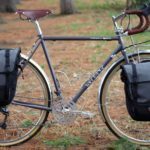 This seems obvious, but if your ride is completely flat, you can go pretty nuts with what you bring because it only adds a handful of minutes to your day. The more distance you’re looking to travel per day, the more weight matters. If you’re wanting to cover twice the distances above, the time penalty for the additional weight will double over the course of a day. 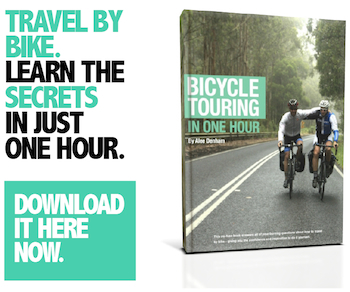 That can make bike and gear weight account for an hour of your time – every day. Conversely, if you’re covering half the above distances above, then these time differences will be less significant over the course of a day. You may not be convinced by the numbers above. That’s fine. 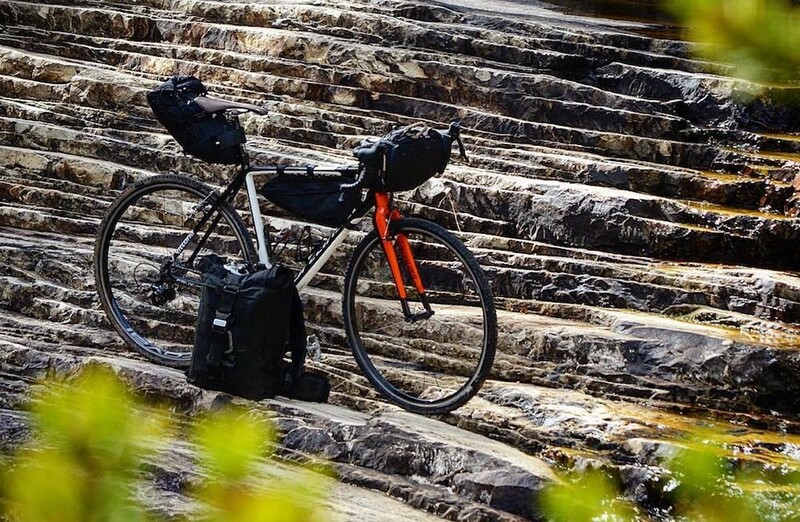 In the next part of the series, I will be taking my Surly Long Haul Trucker with two panniers on a 15km cycling route which offers lots of climbing, some flat, plus a section with undulating hills. I will conduct six runs in one day, the first with a 5kg load, the second with a 15kg load and the third with a 25kg load. I will then do all three loads again to get an average time. These are pretty typical amounts of gear that people carry on their bike trips. 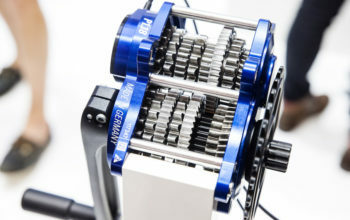 I will be measuring my power using a Stages crank-based power meter and I will attempt to push my pedals at a constant power (200w) for all six test runs. This is a power rate that I know I can push all day long. I will attempt to pick a day with no variation to the weather, I will maintain the same bicycle position (hoods) and I will carry the same amount of water for each run. I am really looking forward to seeing what the results are! Part Two Is Now Complete! Click HERE To See If My Results Stacked Up.